Now that Halloween has come and gone, I will admit that I am swiftly shifting into full-on holiday mode. My sister and brother in-law will be coming home from Florida in a few weeks for Thanksgiving and I am just so ready for all of those festive celebrations. 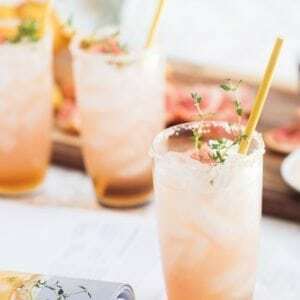 Today I am back at it with my pals at Dr. Oetker Virtuoso Pizza (formerly Dr. Oetker Ristorante Pizza) to share a cocktail recipe with you that is perfectly fall! 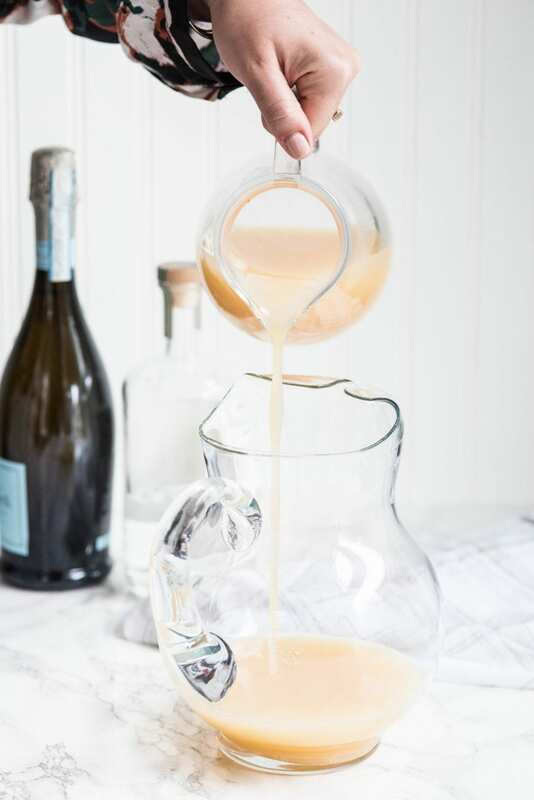 You could serve this up at your Thanksgiving dinner, for sure, or make a pitcher for an impromptu happy hour with friends. 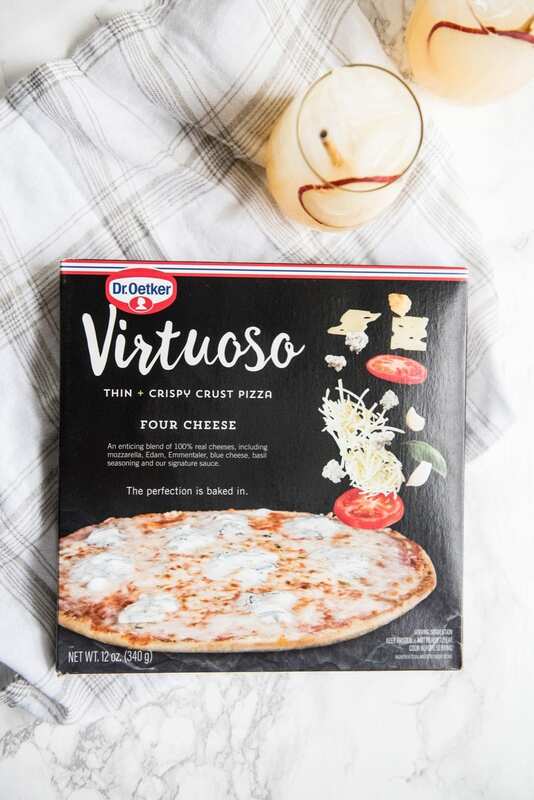 Bake up a few boxes of your favorite Virtuoso flavors to pair with it and you’re in instant hostess mode. 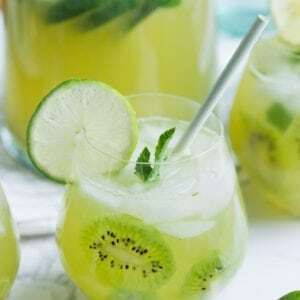 I’ve dubbed this one the fizzy spiked pear punch! 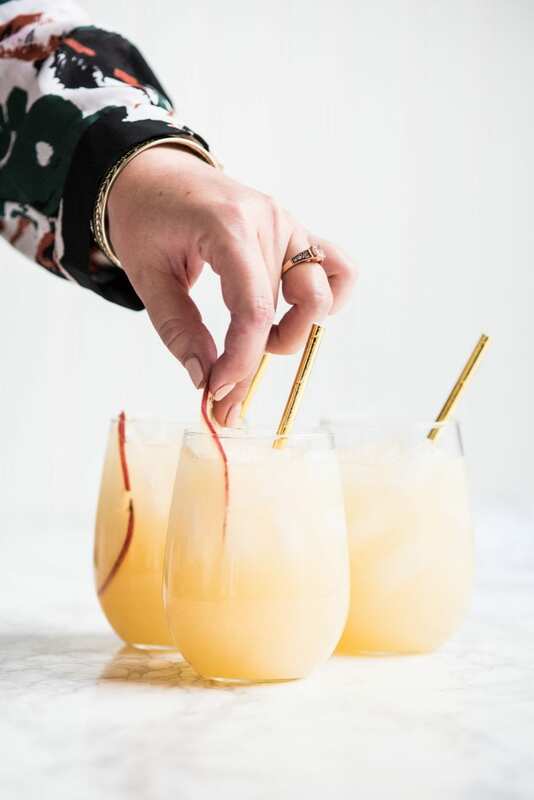 It’s made with pear juice, prosecco and vanilla vodka so it tastes a bit like fall, if fall were melted into a glass and served over ice. The pear flavor? Completely irresistible in my book. Yum! 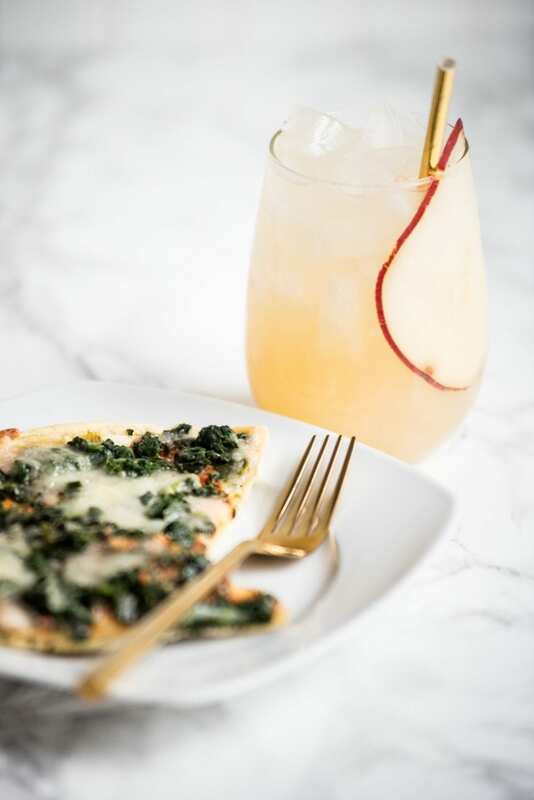 With this particular cocktail, the Virtuoso Four Cheese and Signature Spinach were especially delicious, but you can track down your favorite variety by checking out the store locator to find out exactly where it is sold near you. Or you can even put in a request with the manager at your favorite store! 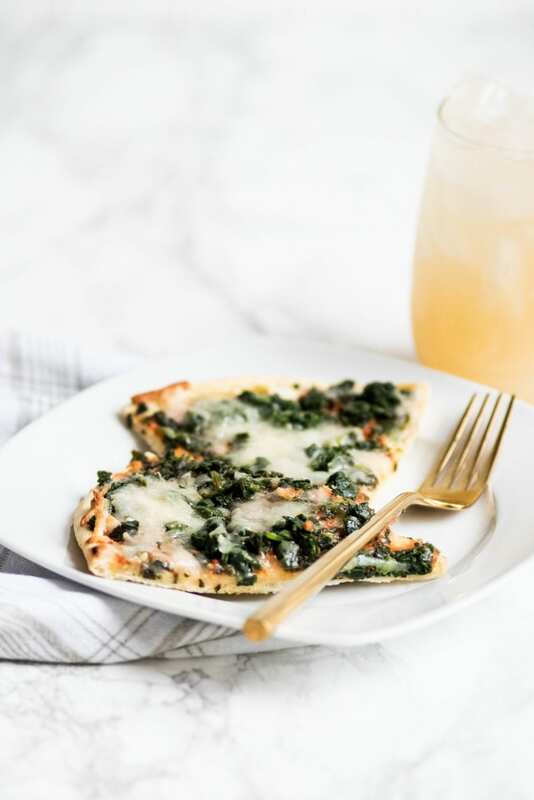 The pizzas (now showcasing a new name and a sleek new box) feature the same fresh ingredients as they always have, and the thin crust bakes up to crispy perfection in about 12 minutes. (I prefer to bake mine directly on the rack to make the most of that crust!) 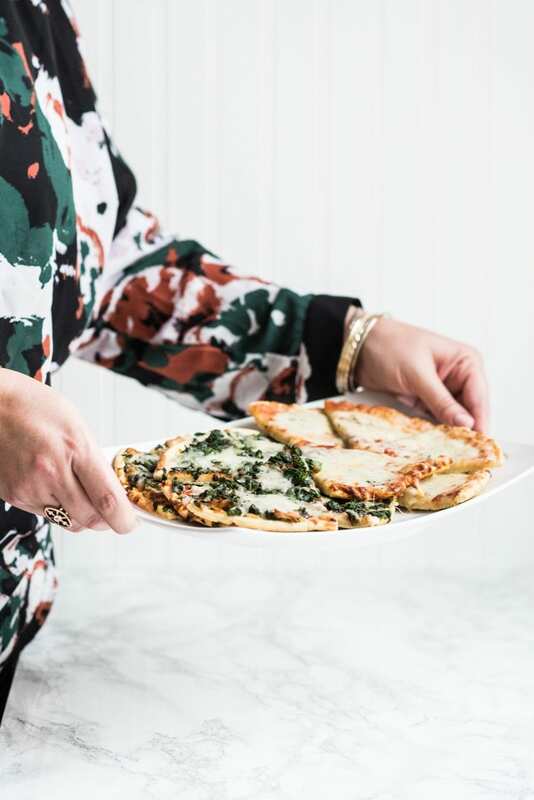 Virtuoso is gourmet frozen pizza that you’ll enjoy just as much binge watching holiday movies as you will serving it up to friends. Don’t be confused by the new look! Everything inside the box is just as delicious as it has always been. 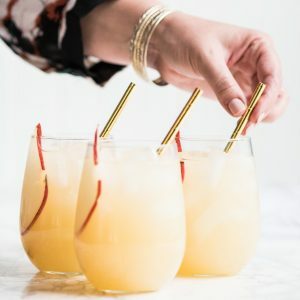 Admittedly, I spend quite a bit of time trying to think of cool cocktail recipes and flavor combinations for every season, but this is one of those that I know I’ll be making on repeat! 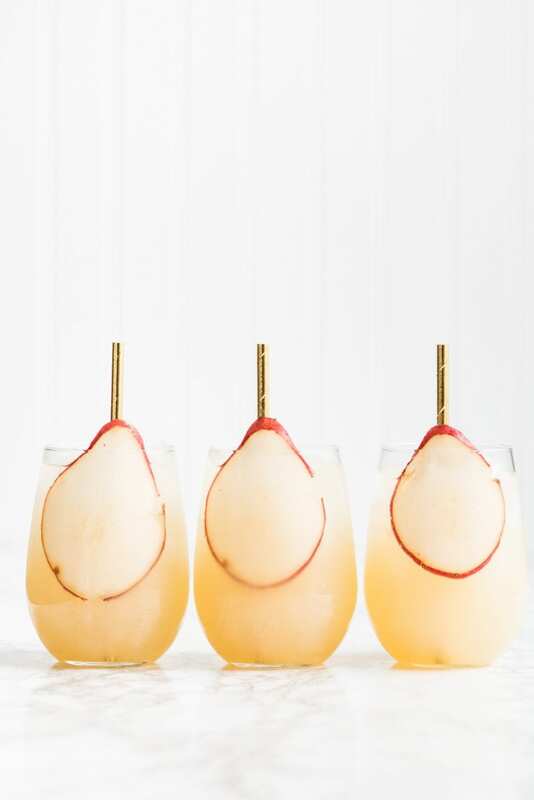 The pear juice makes it so special and rather unexpected, and I’ve really been growing to love champagne cocktails lately, too. 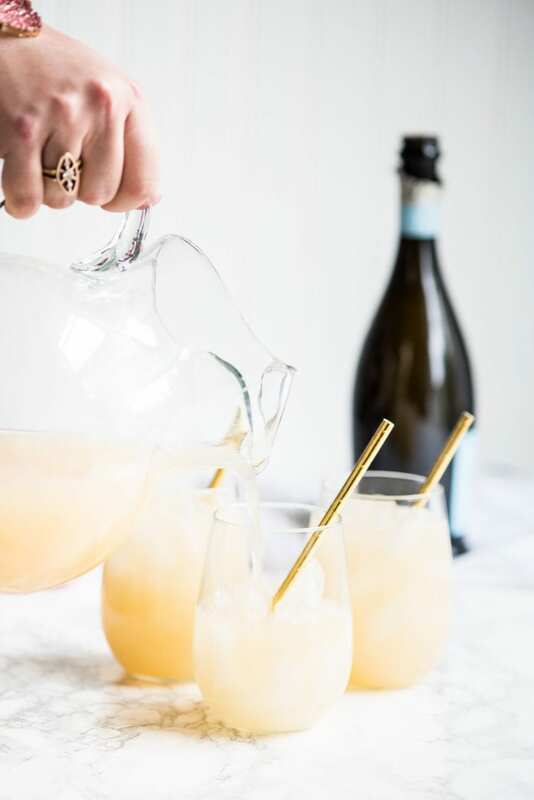 Something about those bubbles is just so so good! 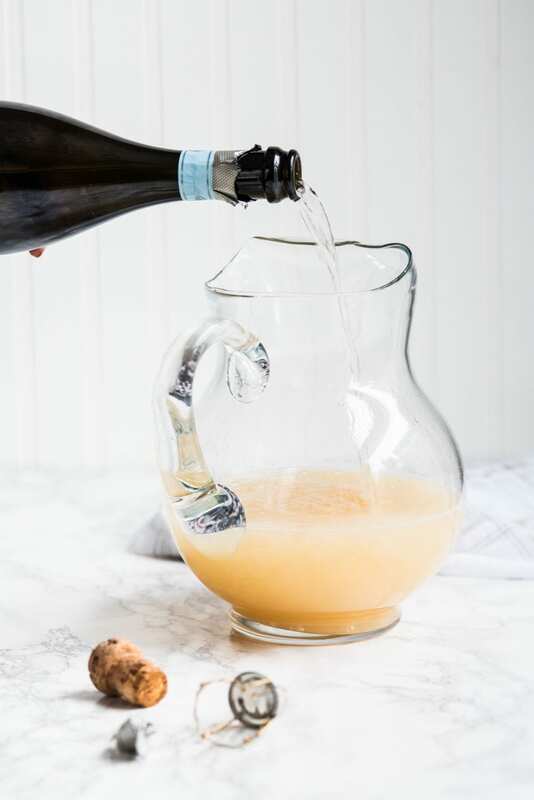 (Full disclosure, I’m all about the bubbly every day always and forever anyway.) As always, let me know if you give this one a try – I think you’ll really love it. Cheers, friends! 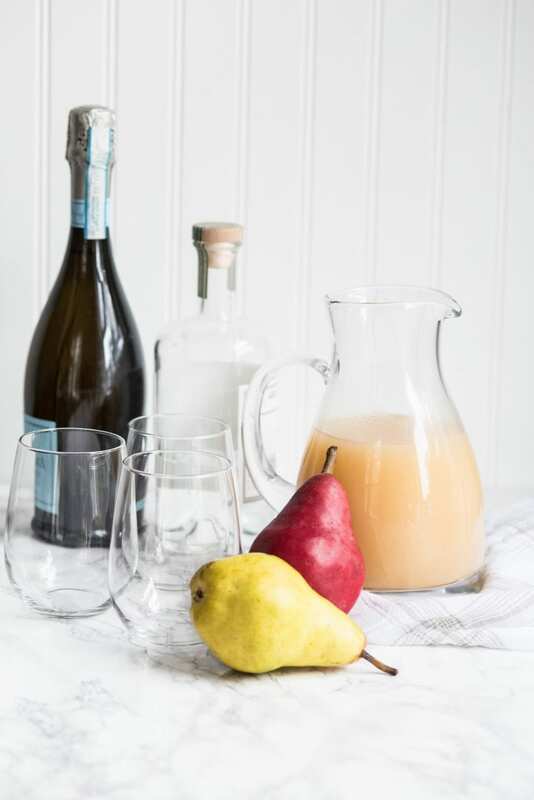 Pour pear juice, vodka and simple syrup into a pitcher and stir to combine. 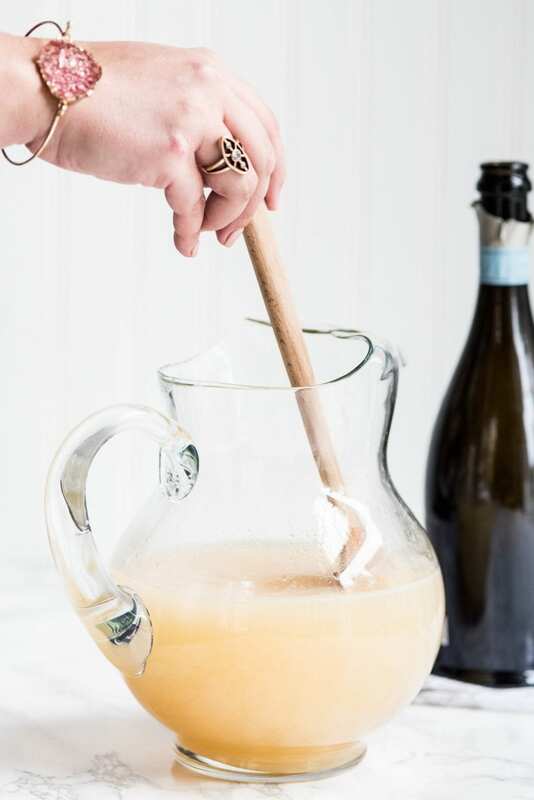 Pop a bottle of bubbly and slowly pour the full bottle into the juice mixture in your pitcher. Adjust the sweetness by adding more or less simple syrup, or skip it entirely! 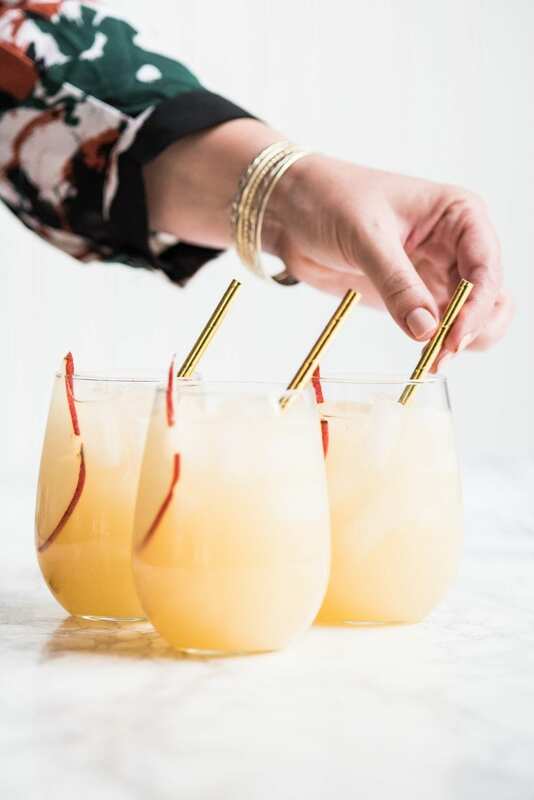 Fill glasses to the top with ice and serve up your pear punch! 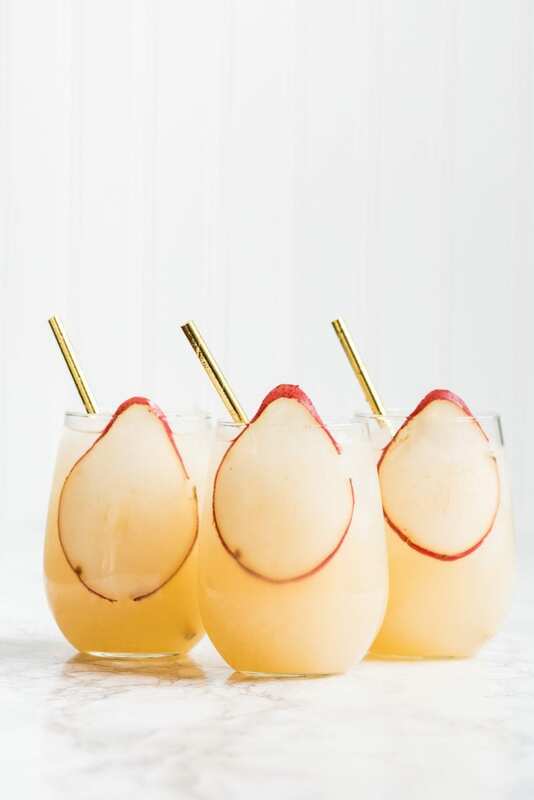 Garnish with slices of pear. Tip: I ran my pears through my mandolin to get those cool pear-shaped slices of fruit.